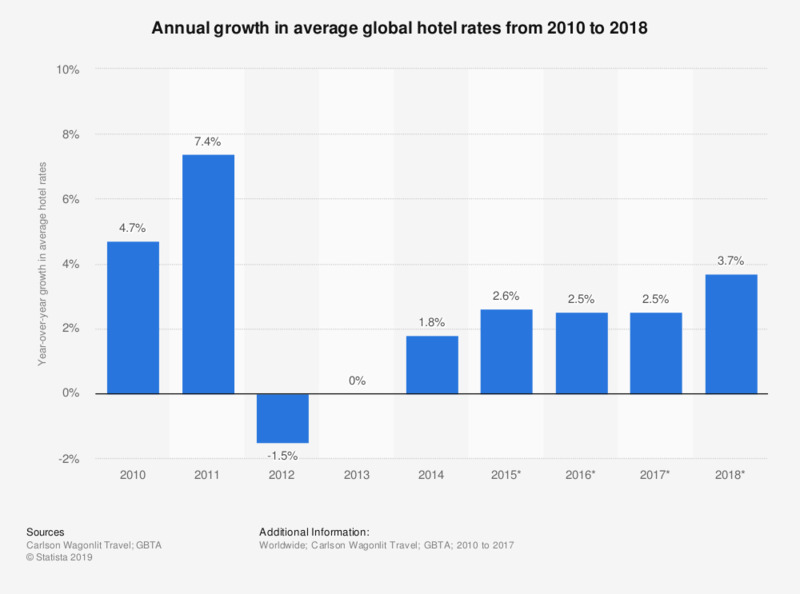 This statistic shows annual growth in average global hotel rates from 2010 to 2018. Global hotel rates were forecasted to increase by 3.7 percent in 2018. The average daily rate of the hotel industry in the Americas reached around 123.37 U.S. dollars in 2016.